JockeyCam Live will feature at the Breeders’ Cup World Championships in Del Mar on 3rd and 4th November, offering racing fans a first-hand perspective in the decision-making process a jockey is faced with on race day. As part of the Breeders’ Cup newly enhanced digital platforms, aimed at providing audiences with a real-time insight to the event, Equine Productions were approached by the organisers of Breeders’ Cup and television network NBC to bring their specially designed JockeyCam to this prestigious international event in thoroughbred horseracing. 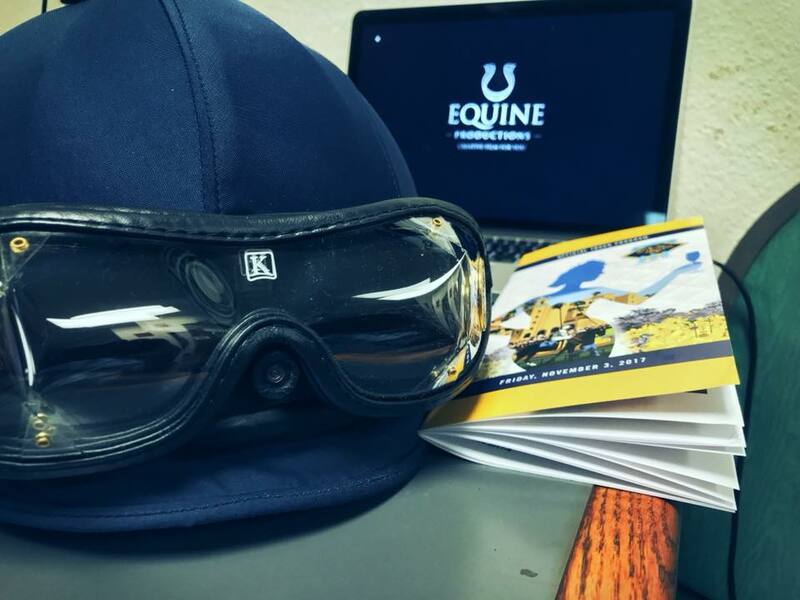 Leading U.S jockey, Mike Smith, who is riding some of this year’s top horses, will wear the helmet camera and transmitter for all of his races. The live feed will be streamed on the Breeders’ Cup website and app, allowing for a seamless experience for fans on-site and at home, as well as playing a part in NBC’s live TV coverage. The Breeders’ Cup administers the Breeders’ Cup World Championships, Thoroughbred racing’s year-end Championships. The Breeders’ Cup also administers the Breeders’ Cup Challenge qualifying series, which provides automatic starting positions into the Championships races. The 2017 Breeders’ Cup World Championships, consisting of 13 Grade I races with purses and awards totaling more than $28 million, will be held November 3-4 at the Del Mar Thoroughbred Club in Del Mar, Calif., and will be televised live by the NBC Sports Group. The Breeders’ Cup culminates with the $6 million Breeders’ Cup Classic, which was rated No. 1 in the world in the final 2016 Longines World’s Best Horse Race rankings.